Since the dawn of the internet, countless brands and websites have used core components of SEO to affect their placement in search results. While the job used to be much easier, today’s SEO challenges are vast and complex. Many brands require full-time staffers in order to optimize their search engine prevalence, but chances are that you don’t have such a luxury. Google is constantly making changes to its search engine algorithms and search features, partially to refine the process and partially to stay one step ahead of would-be manipulators. 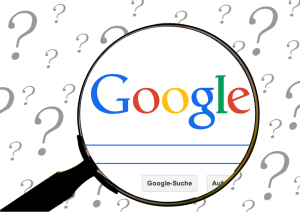 What has Google changed over the past 12 months in its algorithms? Below, we’ll discuss a few of the many changes that will impact your current strategies. Google has made the decision to minimize the number of advertisements shown in any given search result. After expanding the number of visible ads for years, Google has decided to remove a variety of PPC ad results that previously displayed on the right-hand side of the page. While this removes visibility for several potential ads in a given result, Google did add an additional AdWords bidder ad at the top of the page. Those who use ads as part of a greater strategy of pinging for SEO were dismayed and worried, but the broader consensus as of today is that these changes have not resulted in any substantially negative results for most businesses and brands. Google has created and advanced several different sets of algorithms as part of its broader package over the years – Panda, Penguin and Hummingbird, to name a few. It was recently announced that Google has decided to integrate Panda as a more significant portion of its overall algorithm structure. This is now at the centre of the algorithms that determine ranking in search results. This simultaneously created some conflicting theories and worries. On one hand, people were worried about significant changes in how rankings are handled. On the other hand, many are relieved to know that said ranking algorithms may be more uniform in terms of the variables impacting them. Google has consistently been moving toward a mobile-responsive requirement for the past couple of years, but its recent pushes have become more aggressive. Not only have search results been altered to reflect this reality, but the search engine is being very public about the changes. Webmasters are now receiving notifications in the search results themselves when they view their websites, indicating that their pages are not mobile-friendly. The combination of penalties and aggressive messaging is designed to push all webmasters to adopt mobile-friendly practices in the near future, as a majority of Google’s traffic now comes from mobile devices. With each passing year, Google implements dozens upon dozens of tweaks, changes and additions to its search platform. Those who are pinging for SEO know that the only constant is a guarantee of future changes. What other recent changes have you experienced that you believe are better for long-term SEO, and what has disrupted your previous plans?